Precor recently announced their new 600 Line of cardio products. So what exactly does that mean? 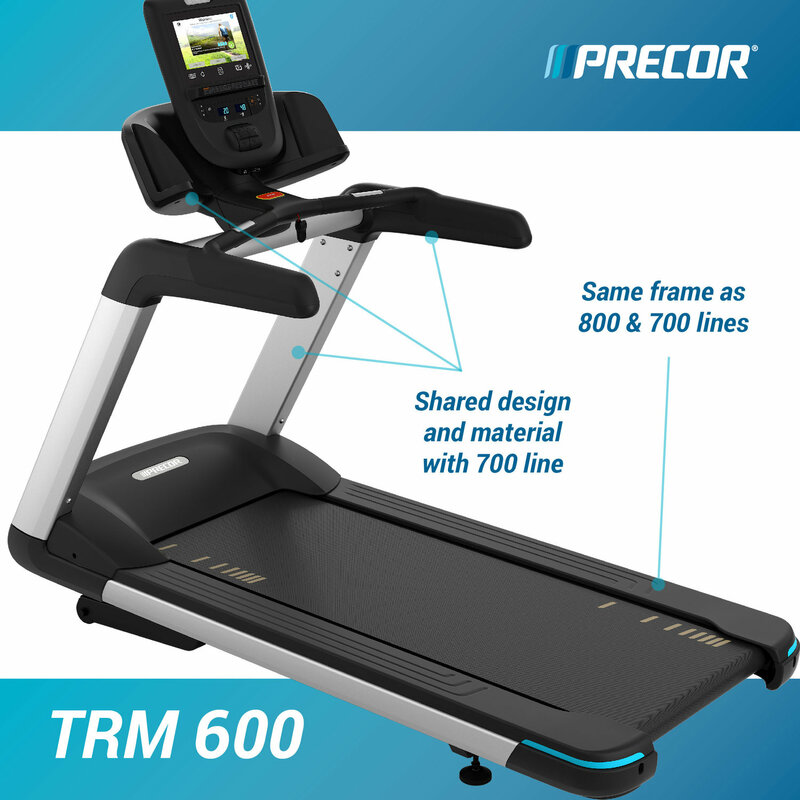 The 600 Line fills the “Good” role in Precor’s new “Good, Better, Best” product offering. It is a fully featured commercial cardio line that delivers on the essentials with premium materials and club-level appearance and features. The 600 Line is built on the same production line and shares key structural components with Precor’s 700 and 800 cardio lines. In fact, all three lines share the same frame to ensure durability that you can rely on. The 600 Line is the perfect choice for facilities that are looking to purchase performance inspired products, want entertainment and networked options, and need everything at a value price. One of the best features available for the 600 line is the ability to mix-and-match all Precor’s console options. This flexibility is ideal for a facility that wants to offer great entertainment options!